As I’m writing this blog entry, my four-year-old is just waking up and playing with her Peter Rabbit plush doll. 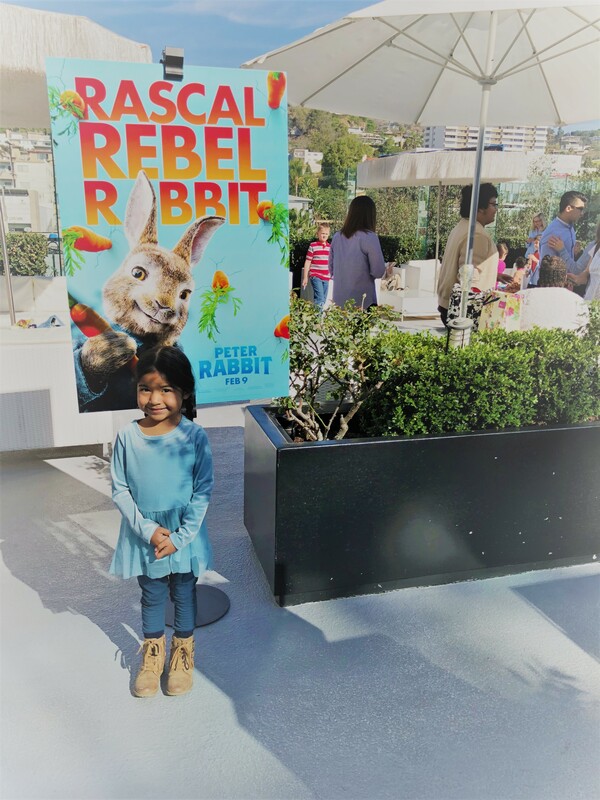 Peter Rabbit is all she has been talking about this week and sharing with everyone who will listen that she saw the Peter Rabbit movie and even met him! We were invited to see the film before it comes out in theaters on February 9th and I’m excited to see it again! This movie is worth me paying to go see it for a second time. It was funny, family-friendly and jammed packed with furry cuteness. 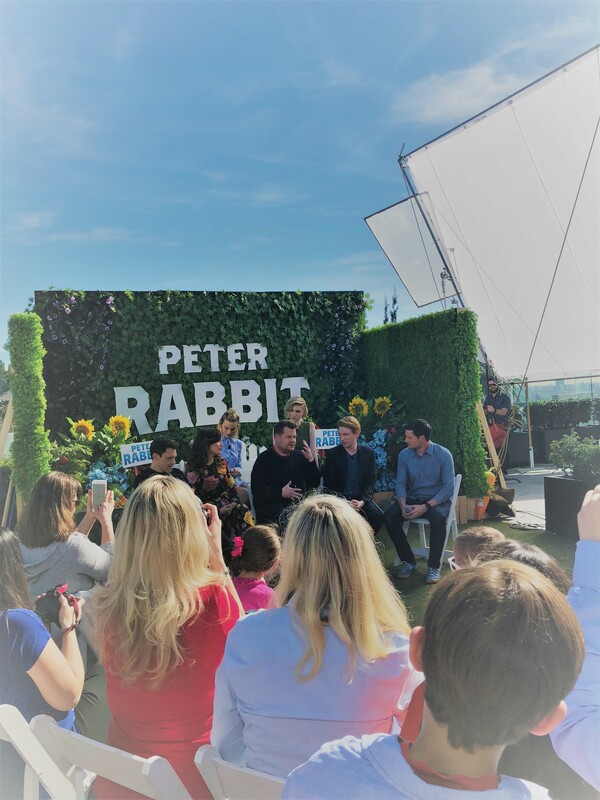 PETER RABBIT™, the mischievous and adventurous hero who has captivated generations of readers, now takes on the starring role of his own irreverent, contemporary comedy with attitude. In the film, Peter‘s feud with Mr. McGregor (Domhnall Gleeson) escalates to greater heights than ever before as they rival for the affections of the warm-hearted animal lover who lives next door (Rose Byrne). James Corden voices the character of Peter with playful spirit and wild charm, with Margot Robbie, Elizabeth Debicki, and Daisy Ridley performing the voice roles of the triplets, Flopsy, Mopsy, and Cotton-tail. 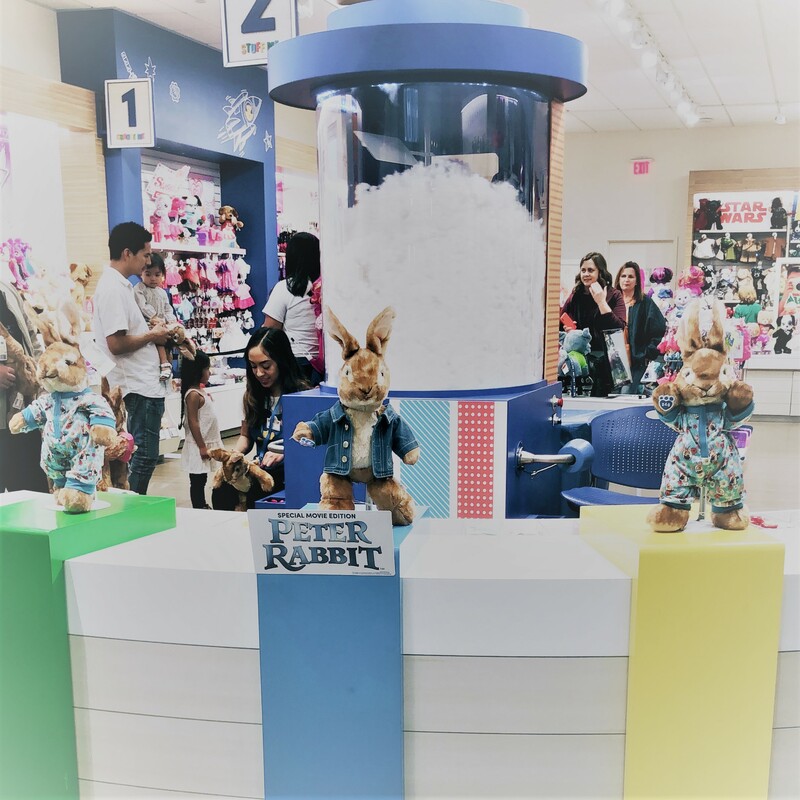 Because kids can be as mischievous as Peter Rabbit, I decided to use all of the activities in store for us as simple life lessons for my daughter. 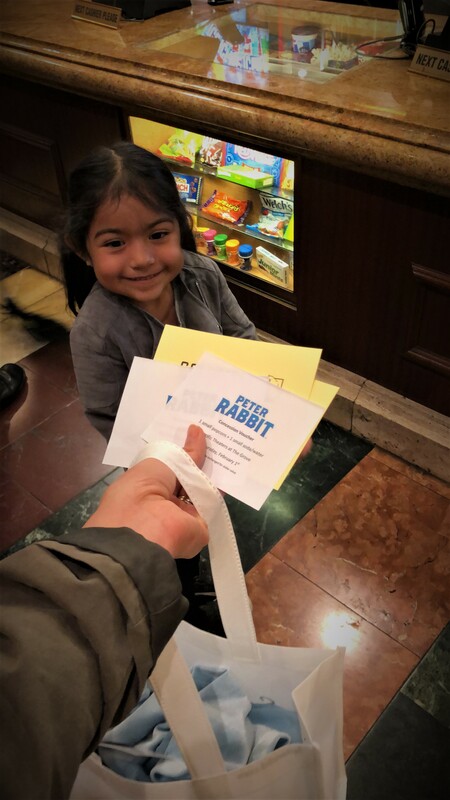 She had the opportunity to see the movie first! This was a teachable moment and I couldn’t stress enough to her that she is lucky and should appreciate these special opportunities. She was able to pick out her own Peter Rabbit inspired outfit. 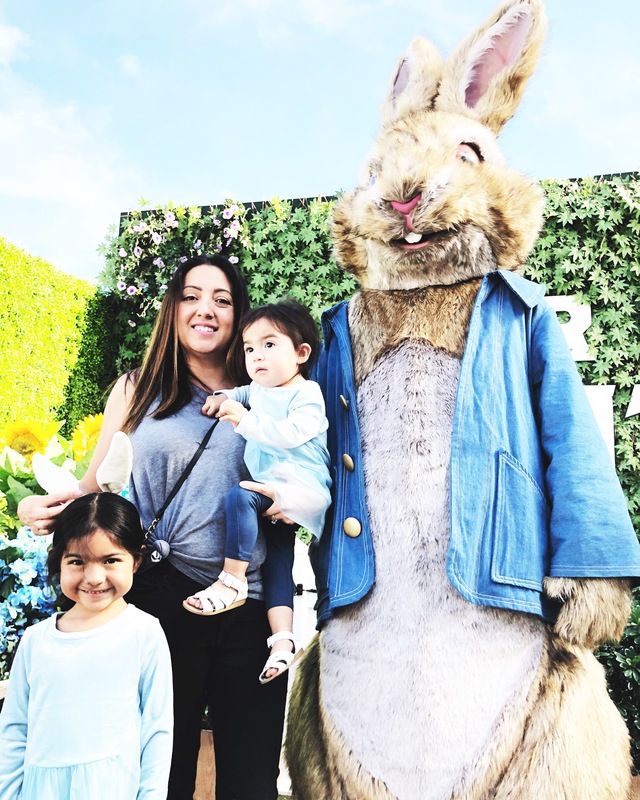 Peter Rabbit rocks a cool denim jacket in the movie but she wanted to go classic and picked out a light blue velvet top and blue pants. Always be yourself! She liked it and was comfortable and that’s what matters the most. She attended the press conference and was able to listen first-hand to the voice actors. I thought this was great opportunity to teach her about different careers. 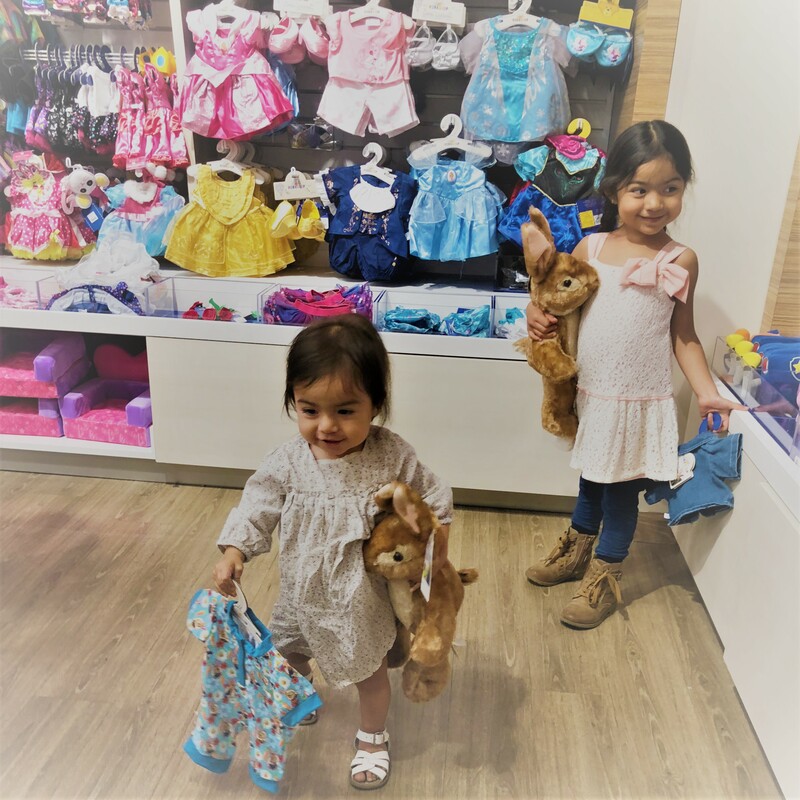 She and her sister were given the opportunity to Build their very own Peter Rabbit at Build-A- Bear. In my opinion, this is a special occasion type of activity and it should be appreciated. Once we got home she picked out two toys from her collection to give away. I never take for granted the opportunities that come with creating content for my blog. It’s a lot of hard work, takes dedication and with that comes fun opportunities that we may have not otherwise been able to participate in. My daughters need to know that. Thank you Peter Rabbit for making this a week full of teachable moments! Peter Rabbit is out in theaters on February 9th. Can’t wait to see it with the girls!